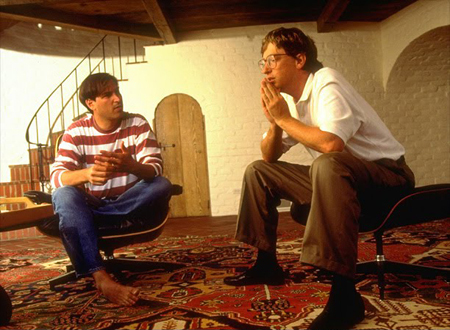 Coming across George Lange’s photo of Steve Jobs and Bill Gates from 1991, I was struck by how well the postures, the attire and the interesting perspective capture what Apple and Microsoft represented at that time. How different might a photo taken today look? This entry was posted on Thursday, June 16th, 2011 at 3:48 am and is filed under Posts. You can follow any responses to this entry through the RSS 2.0 feed. You can leave a response, or trackback from your own site.